There are a lot of reasons Chad LaRose could be miserable these days. But he's not and that should come as no surprise to anyone who knows the popular Carolina forward. 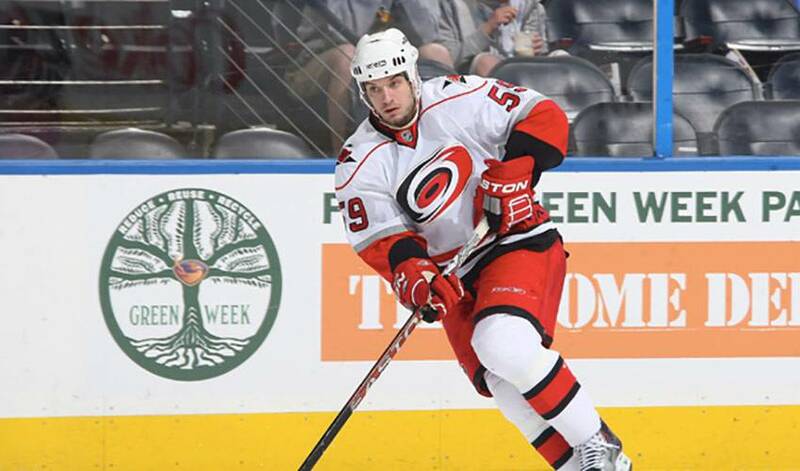 LaRose, who was one of Carolina's most consistent forwards in 2008-09, a season in which he recorded career-best NHL numbers in goals (19) and points (31), missed 17 games with a lower-body injury from December 11 to January 16. LaRose was placed on injured reserve on February 5 and missed seven more games with an upper-body injury. To make matters worse, the Hurricanes, who made it to the Eastern Conference finals in 2008-09, struggled mightily, sitting near the bottom of the standings. For LaRose, the toughest part of being on the sidelines wasn't dealing with the physical aspect of the injuries. “Mentally, it wears you down,” said the right-winger, who skated in his first NHL game on December 6, 2005, netting his first NHL goal 11 days later against the New Jersey Devils. “But I really didn't want to let it affect me in a big way. I decided the best approach was to take any of the things that happened and learn from them. What appeared to be a lost campaign, at least in terms of making the playoffs, has turned around somewhat for the Hurricanes. One of the league's top teams over the past 15 games, Carolina has fought their way back into the post-season picture. And while it will still be a tough task to make it to the final eight in the East, LaRose and his teammates aren't throwing in the towel. But they also aren't going to get too far ahead of themselves. One look at how tight the standings are, both in the East and the West, and it's plain to see why LaRose is thinking in such terms. For his part, LaRose, who won the 2002-03 Leo Lalonde Memorial Trophy (awarded each year to the best overage player in the Ontario Hockey League), will look to keep his perennial positive outlook as the games begin to intensify. Chipping in offensively is also on LaRose's “to do” list. It's why LaRose refuses to see things in a negative light. We highly recommend that you follow Jaccob Slavin's most prized possessions on Instagram. See why in this week's Player Q&A! You probably know Sebastian Aho is leading the Carolina Hurriacnes with 23 points – but what you don't know, including when he fell in love with hockey, inside! As a coach with Finnish Elite League club Kärpät, Mikko Manner often marveled at how Sebastian Aho handled himself on and off the ice. That hasn’t changed one bit. Dougie Hamilton’s summer has included a little bit of everything, including reconnecting with a charity that holds special meaning for the 25-year-old defenceman. What’s been on tap during Calvin de Haan’s summer? Well, it’s been a little bit of everything. In this edition of My Top 5, the New Jersey native picks out his favourite singers/groups and reveals which one of the van Riemsdyk brothers (himself, James or Brendan) could hold his own on the concert stage.